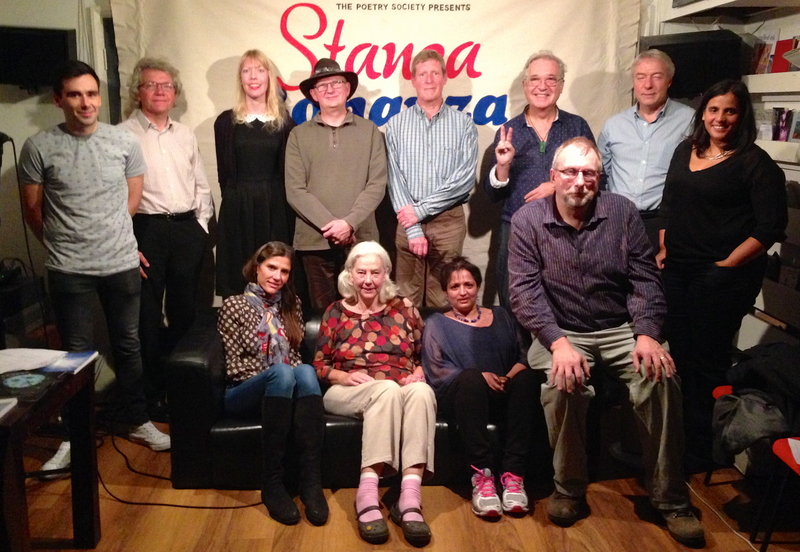 Here I am with my friends from Barnes & Chiswick, plus the Amersham poets, at the Poetry Café in London last night. A good time was had by all. Poetry ID member Dennis Tomlinson will be taking part in a reading, one of the Stanza Bonanza series, at the Poetry Cafe, Covent Garden, at 7.30 pm on Wednesday 28 October. Entry is free. He will be representing his other stanza, Barnes & Chiswick, together with Paul Attwell, Nayna Kumari, Dino Mahoney, Diane Mulholland and Michael Weightman. 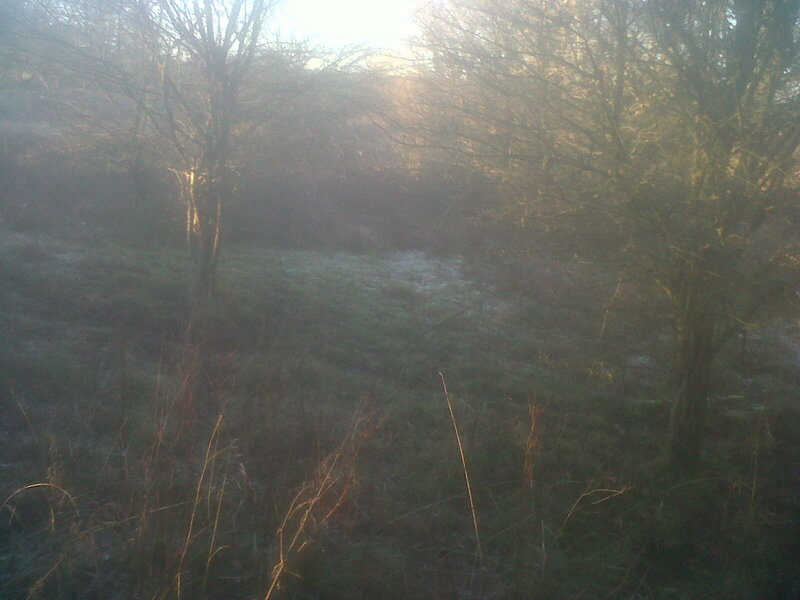 The other participants will be coming from Amersham/Metroland. Judging by last year’s experience, this evening will be fun. 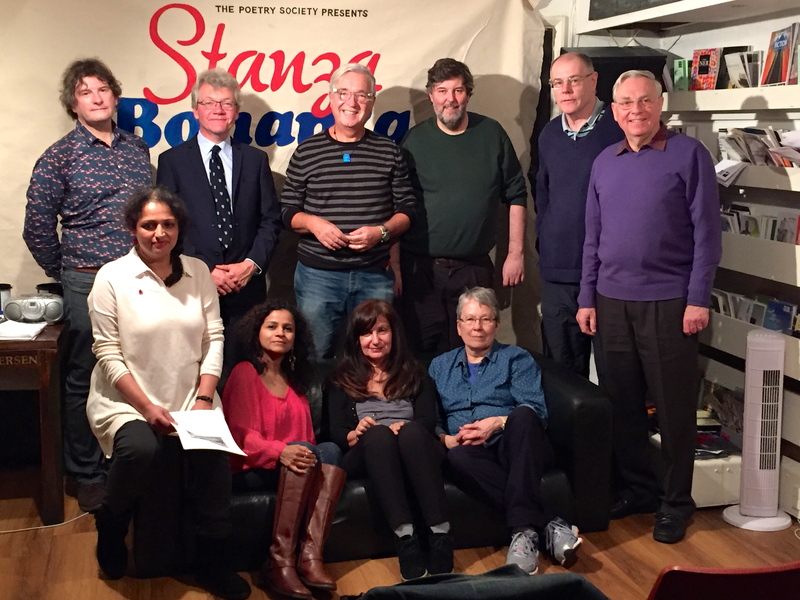 Here I am with members of the Barnes & Chiswick and Woking stanzas at the Stanza Bonanza on October 22nd. I was the first to perform, setting the tone for a great evening. Ha ha! I have just had a poem on the plight of the postal service (‘Royal Mail 2012’) published on the Eyewear blog. This really expresses my disgust at the state of affairs in June last year, but it fits in with other critical poems published there. where the old tiles lay. After ‘The Future’ follows ‘The Present’. This one turned into a spring poem as I was writing it. This poem derives from impressions of a recent trip to Singapore, which coincided with the Chinese New Year. It may well form the germ of a new sequence. And see old SATAN canter. The CLAUS speak for themselves. The beard of Grandpa Marx. Old Nick holds court in hell. Of Lies yokes up his beasts. And flies off to the feasts. 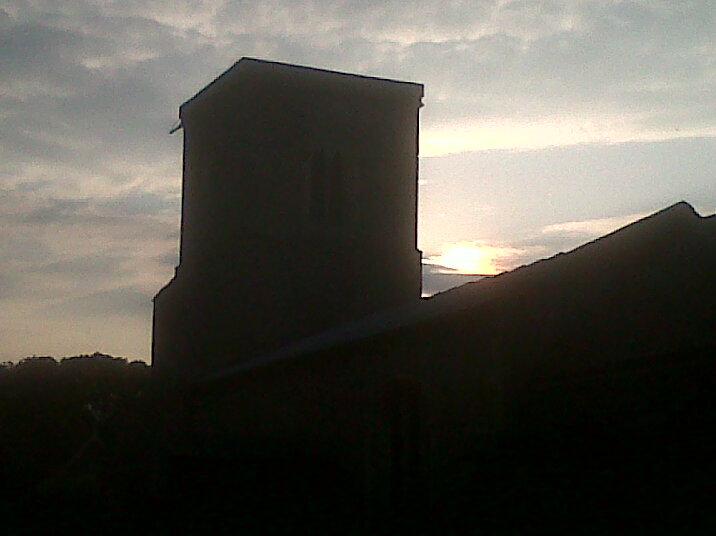 Out of the storm-swept sky. 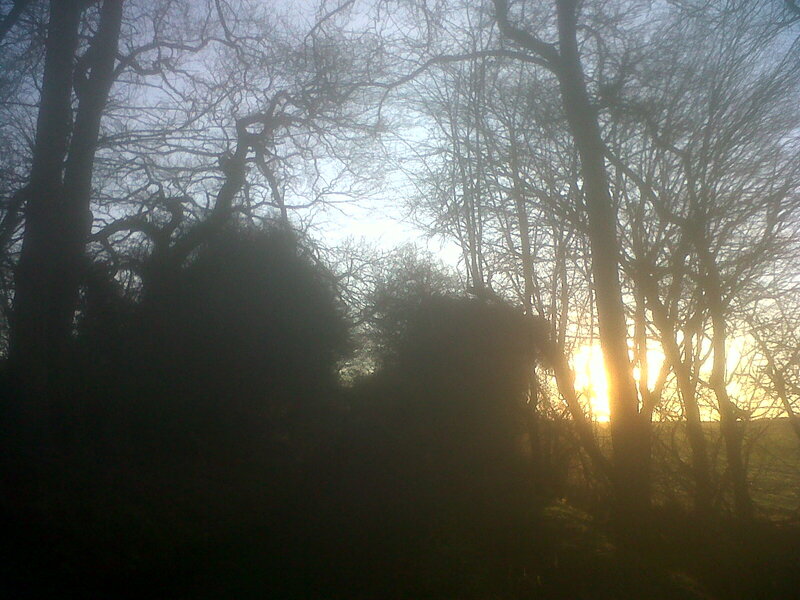 The Wild Hunt’s hurtling by. He’ll send his horny imps. Of dolls and cricket bats. They sound the midnight bell. He must flee back to hell. Thank God they don’t exist! I wrote this humorous Christmas poem 23 years ago, but it has never had a wide airing. Please pronounce ‘transposed’ as 3 syllables. a world we don’t yet know. My ‘fruit workshop’ took place all of five years ago now. How time flies! I too was in ‘Welei’ today (though I only had a mobile phone to take pictures).